Richard Rohr shares his understanding of Luke's message for today's reader. Grounded in scholarship but accessible to a general audience, this commentary sheds light on the main themes of Luke's Gospel. He works through each theme in a twofold way. He first addresses individual concerns, duties, and possibilities, and then connects them to the larger picture of cultural and ecclesial values. Fr. Rohr has a fascinating perspective, enhanced by his travels to Africa and Latin America, that can nourish and inspire both individual readers and the church at large. 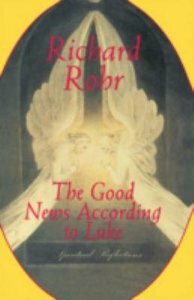 About "The Good News According to Luke"
Father Richard Rohr (born 1943) is an internationally recognised ecumenical teacher bearing witness to the universal awakening within Christian mysticism. He is a Franciscan priest of the New Mexico Province and founder of the Center for Action and Contemplation (CAC.org) in Albuquerque, where he is also academic dean. The mission of this school is to produce compassionate and powerfully learned individuals who will work for positive change in the world based on awareness of our common union with God and all beings. Fr. Richard's teaching is grounded in Franciscan alternative orthodoxy - practices of contemplation and self-emptying - expressing itself in radical compassion, particularly for the socially marginalized. Fr. Richard is the author of numerous books, including Everything Belongs, Adam's Return, The Naked Now, Breathing Under Water, Falling Upward, Immortal Diamond, and Eager to Love: The Alternative Way of Francis of Assisi.